Now that Abby is a pro at getting on and off the school bus, it]s time to send off Emily to pre-school, but for three times a week this year. 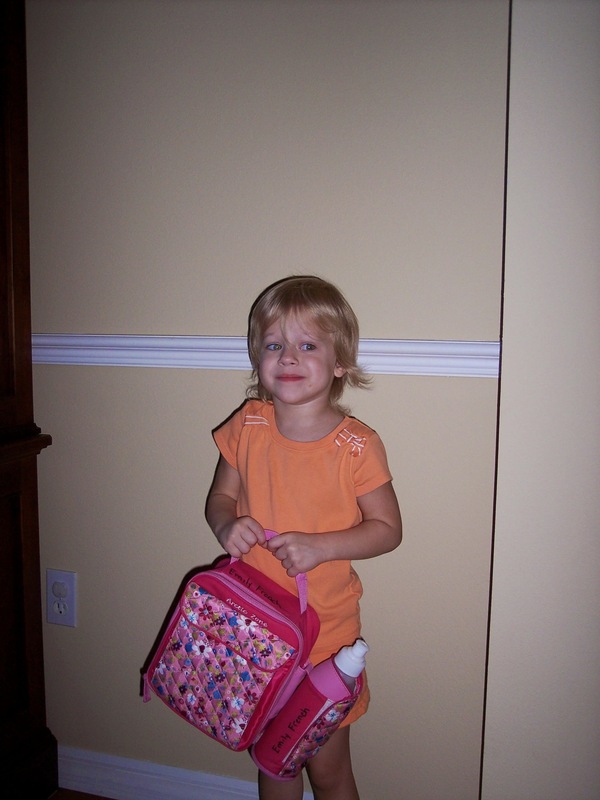 Today was Emily’s first day of pre-school. This was also a first because Emily now has the same teacher Abby had two years previous and they are all anxiously awaiting to teach Isabelle two years from now. Emily entered school like she had always been there. She sat down at the table, waved to Jennifer, and said, “bye Mom”.